Forget summer being great for business, unless you’re selling ice-creams on the beach! 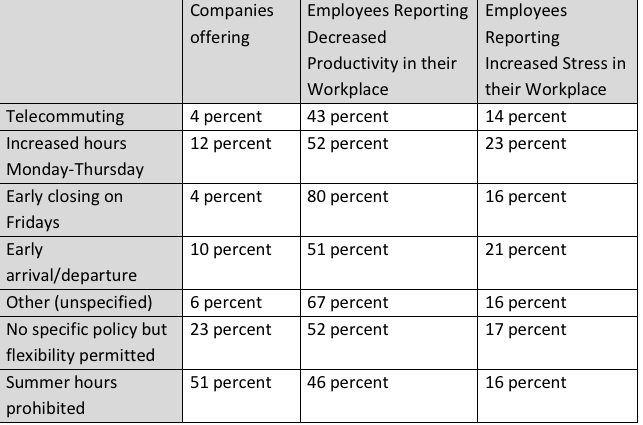 In what is regarded as explosive research, some amazing results about workplace productivity in summer point to the fact that workers get lazier during summer. Much lazier. When the weather warms up, so does the attitude of workers to go out and play, enjoy the sunshine, socialise more and … work less. In summer, workers love to have the early Friday mark to head to the country or the beach. Enjoy themselves. Have fun. Be with family. Great, except it doesn’t help business. The study showed that a staggering 53 per cent of workers who get an early start to the weekend reported a dip in productivity. This is because to get Friday off (or leave early) they had to work longer hours from Monday to Thursday, raising their stress levels and decreasing their productivity overall. Warmer months! Sun-filled days with longer hours to do things we love – surf, swim, hang on the beach. The study reports that even though a range of options to enjoy summer were offered by businesses, productivity still went one way – down. From telecommuting, earlier hours, job sharing and more flexible schedules, it makes no difference. People just don’t get as much done during the summer. And it can turn into a HR nightmare! No doubt that people tend to be less focussed on productivity during the warmer months, but other opinions are that people are actually better at getting things done during summer. This is because, as psychologists attest, people’s mood tends to be more buoyant in warmer weather and a hotter climate gives people more opportunities to socialise with their co-workers, go out, get together, have a cup of tea and communicate more with each other. This in turn leads to increased communication and collaboration, research indicates. But the fact remains is that often it is harder to get things done as fast in hotter weather. And even if workers enjoy an air-conditioned workplace, their heads are still on the beach or being outside. With that in mind, what can HR do to reduce the impact of the summer months on productivity? Consider alternative work plans – flexi-time, working from home, coming in early and leaving early (still getting the same 8-hour day in) if it fit with the business outcomes are some ideas. Summer is a wonderful time for all of us and gives us the chance to enjoy the outdoors, get out into nature and experience family time. But as indicated, it’s not always good for business. Smart companies take research findings into account and plan their working year to accommodate the warmer weather and use it to their advantage. And it turns from a HR nightmare into a more manageable process. Pure Magic International Business Solutions is an award-winning company, passionate about helping clients achieve strategic business outcomes through leadership, management and people development strategies and techniques at all levels and by using a range of easy-to-implement HR and Organisational development strategies. To find out more, head to www.puremagicbusiness.com.au. If you’d like to discuss any concerns or ideas you have about keeping employees engaged during our long, hot Aussie summer, why not book a free discussion on https://my.timetrade.com/book/QGY21 today?